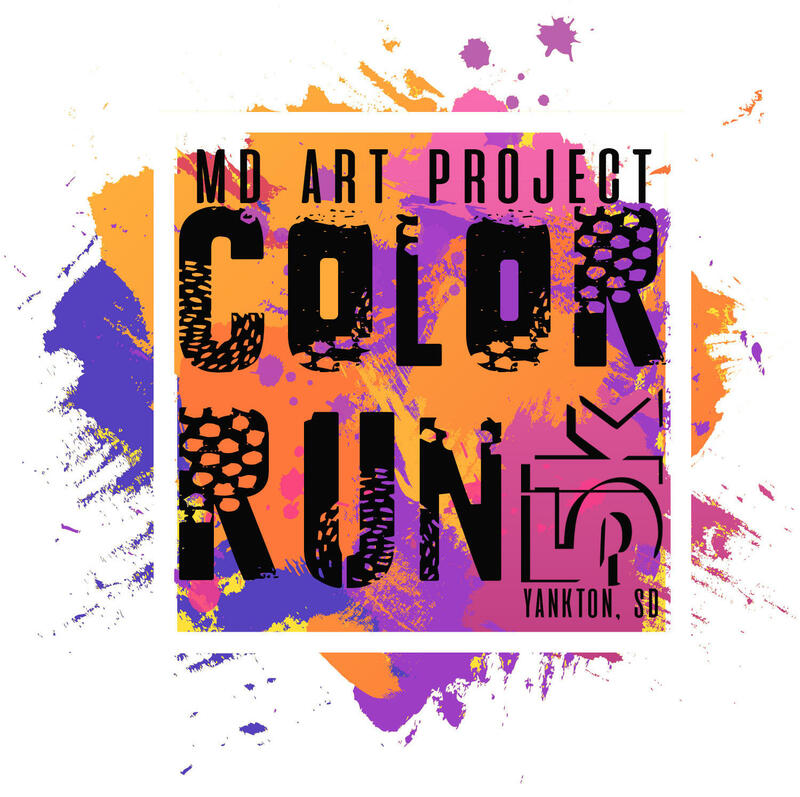 Join us for the first MD Art Project Color Run 5k! 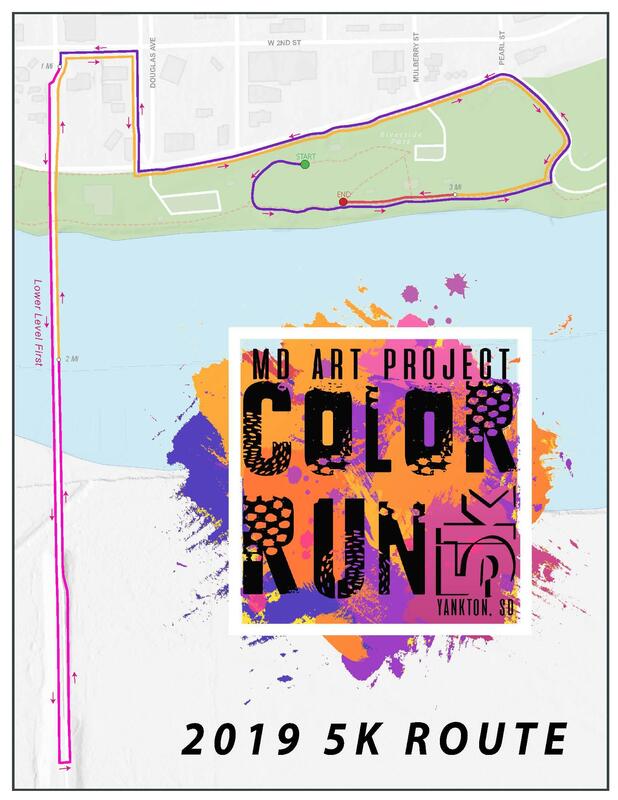 This run is just for FUN and will help spread some color around Yankton for the day, and help bring more art installations into the Meridian District. $25 Registration includes: t-shirt, sunglasses, tattoo's, stickers and individual color packet. The early bird gets the worm. Come early and get your registration packets and goodies! Pre-registration guarantees you get the shirt size you want and helps us better organize for a smooth event! Get pumped up and ready for the Fun Run with our own warm-up instructor and jams sure to get you in the spirit! The Color Run 5K begins! There will not be individual timers. If you would like to know the time of your race, please plan to time yourself. This run is just for FUN! Congrats! You've finished the race!! 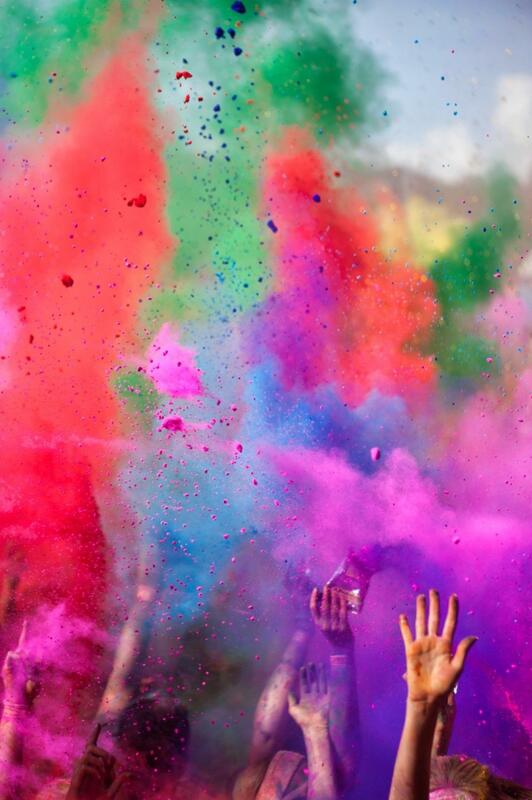 Stick around for a community color toss photo shoot in the park afterwards! Register for the first MD Art Project Color Run 5K! Registration is $25 and includes a super fun run, t-shirt, sunglasses, tattoo's, stickers and an individual color packet for a photo shoot afterwards! Does this sound fun, but running or walking is just not your thing!? We still want you to be involved and are looking for volunteers! We can find a job perfect for you. For example, it could be throwing powder at one of our color stations or you could be handing out bottles of water or you could help at registration. Become a member of our MD Art Project Color Run Team! The Meridian District Art Project is a public art program formed through Design SD community conversations. The MD Art Project works to raise funds and is a liaison between property owners and local artists to bring creative, interactive and cultural art installations into downtown Yankton. Through art, the MD Art Project will strive to help build a vibrant destination place, a welcoming focal point for community gatherings, and a desirable place to shop, dine and walk. The MD Art Project hopes to further expand on this non-traditional public art gallery with two new art installations a year, building a unique, vibrant and livable place for all. You're all set! Dress in normal running clothes or get a little wacky. This run is just FUN! We can't wait to see you on June 15th!